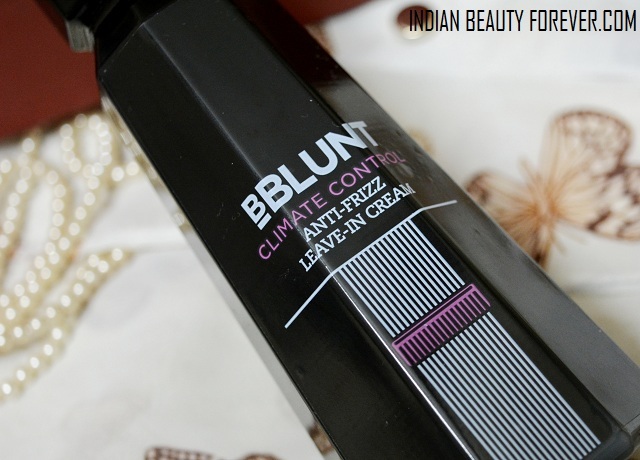 In this post, I will review BBlunt climate control anti frizz leave in Cream. I like leave in products since when at times I skip using hair conditioner after shampooing my hair, then these leave in conditioners can be of great help and they can be used anywhere every time or when needed. 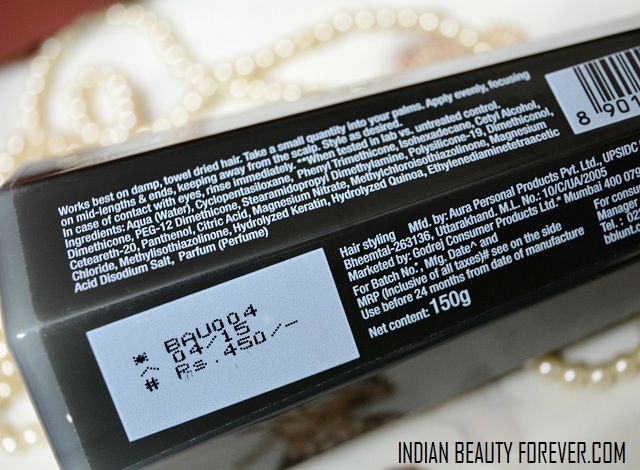 Price of BBlunt climate control anti frizz leave in hair cream: This comes for 450 rupees and the quantity of the product is decent for that price. 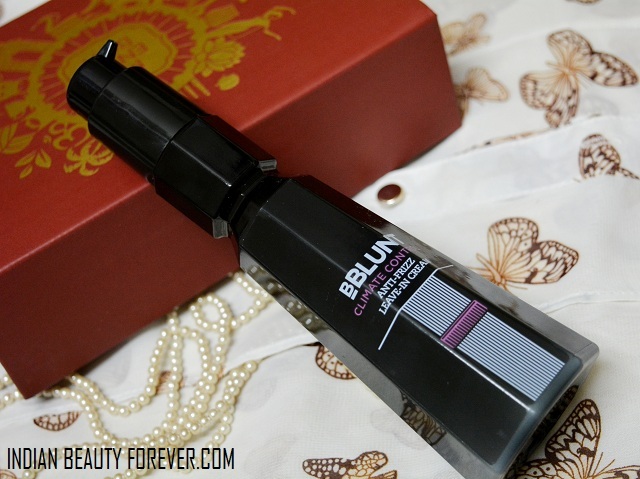 This product comes in a very interesting looking black plastic bottle. It has a pump at the top which makes this very easy and convenient t use. The leave in conditioner is more or less like the hair conditioners that we use after shampooing the hair. The texture is just like that!! Creamy and bearing medium consistency. This has a very subtle floral-ish smell which I loved as when I applied this, the subtle fragrance oozing out was great. While I was testing this product, even my mum noticed that and asked me which shampoo I had used to which i said it's the new leave in conditioner that I am currently testing. She also used this and like the way this smooth out the flyways and frizziness of dry hair. I do not have very dry hair rather my hair is pretty silky but when the season changes, just after the wash they will become slightly frizzy. Therefore, as the season is already hot and humid, I tried this after the hair wash.
How to use this: To use this I will take only half a coin sized amount which actually depends on the hair length and the frizz that you experience. I rubbed that in my palm and applied it all over the hair but only on the hair strands below the ear level. It has really smoothen out the hair and I liked that this has not weighed the hair down too much. I think if you will use this more then it can be slightly greasy thus adjust the quantity as per the requirement. I also used this before using any heat styling tool, like the new curling wand that I bought few days ago, I made sure that I used this to make a shield over the hair so that the heat damage can be minimized. Then after I am done curling my hair, I will use hair spray to set the curls. So, Do I like the product? Yes, I did and I will recommend this to all those of you who have frizzy hair problem and dry hair. This can tame the hair. 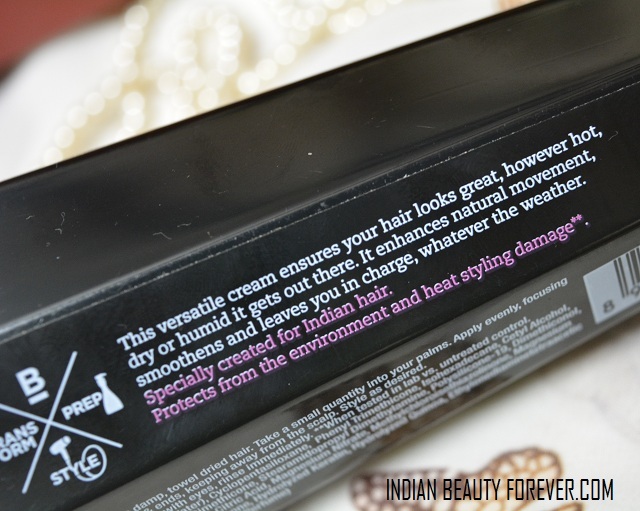 For very dry hair this can at least give decent results. Honestly as a user, I did not find any flaws in the products, however, I think few of you can find the price to be slightly more but other than that it is a good to try product. I will try it out in the future.